Husband and wife team Graham and Mary Marcus work together every day at their Dansville, New York, dealership Maddie’s Motor Sports. But the couple wouldn’t have it any other way. Both Graham and Mary grew up in family businesses, so owning a dealership together wasn’t a stretch for them. However, they got to that point gradually. Graham’s family owns Marcus Farms, a wholesale tree farm. When Graham graduated from college, he began working for the farm. In 2004, Marcus Farms added the retail outlet Valley View Enterprises to sell its trees, and Graham became the manager of the store. The business quickly evolved as Valley View added Cub Cadet lawn and garden equipment to its plant and garden supplies. The equipment business was booming, so Valley View cut out the plants and garden supplies. Polaris ATVs, side-by-sides and snowmobiles were added in 2008, and Victory Motorcycles joined the lineup in 2010. It was soon evident that the powersports and lawn and garden side of the business had become its own entity, so Graham and Mary purchased that portion of the company from Marcus Farms in 2012. They renamed it Maddie’s Motor Sports after their daughter Madeline and moved the dealership into a 16,000-square-foot facility in Danville, which is just over an hour’s drive north of Scranton, Pennsylvania. 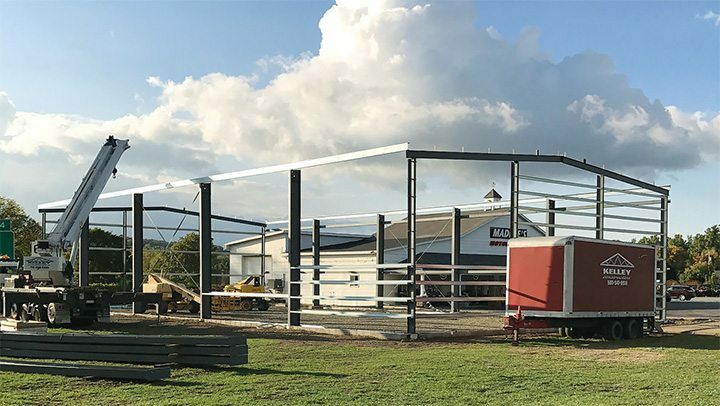 About 8,000 square feet of space is being added on to Maddie’s Motor Sports’ showroom in Dansville, New York. And of course, the couple is pleased to work in the powersports industry. “We’re selling toys to adults. It’s an adult toy store,” Graham said. At first Mary worked at the dealership part-time, while she was also managing a family restaurant with her father. About a year ago, her father decided to retire, and Mary chose to dedicate her time to Maddie’s. She sold the restaurant and has been working full time at the dealership since then. “I always tell people that coming from a family business — and she did as well — it’s fun to work with the people that you know and trust the most,” Graham said. 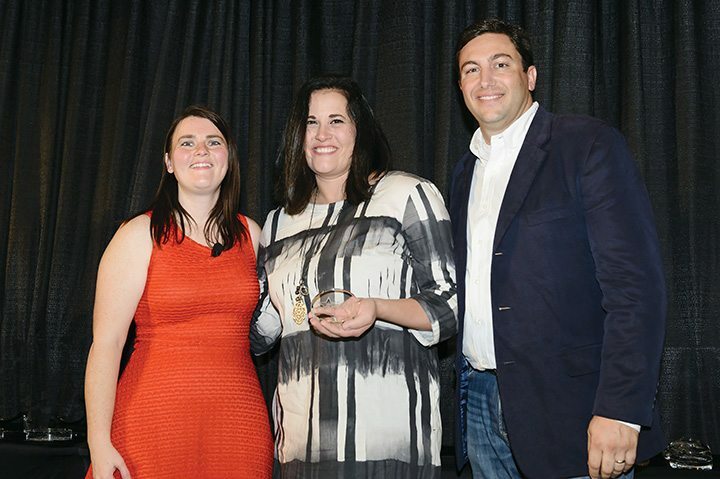 Mary and Graham Marcus, shown with PSB managing editor Liz Keener at the 2016 Power 50 dinner during AIMExpo, bought Maddie’s Motor Sports in 2012. The dealership hung on to Cub Cadet, Dixie Chopper and Scag Power Equipment on the lawn and garden side. In powersports, Maddie’s carries ATVs, side-by-sides, snowmobiles and motorcycles from Polaris, Slingshot, Victory and Can-Am. In 2015, KTM was added to the lineup, and Indian was brought in last spring, adding the Mad Max Indian Motorcycle moniker to Maddie’s Motor Sports. In its short time as a dealership, Maddie’s has done well for itself. For Polaris, the dealership is the largest volume side-by-side dealer in New York, a top 10 volume side-by-side dealer in the Northeast Region, a top five volume Ranger dealer in the Northeast and a top 15 overall volume dealer in the Northeast. Maddie’s also boasts a top gun salesman, a Viper Award and a VIP Award from Polaris. And its service department is gold certified for Victory, Polaris ATVs, Ranger, RZR, Polaris snowmobiles and BRP, and silver certified for Slingshot. In 2016, Maddie’s Motor Sports was named a Powersports Business Power 50 dealer for the first time. With the addition of Victory, then KTM and most recently Indian, Maddie’s Motor Sports has been able to attract motorcyclists. In 2015, the dealership’s new unit sales were 50 percent side-by-sides, 26 percent ATVs, 16 percent snowmobiles and only 8 percent motorcycles, but bike sales are already increasing. “The utility side-by-sides are still our highest volume product line, but the V-twin motorcycles are growing momentum all the time, and the utility ATVs are always strong as well,” Graham reported. Adding motorcycles to the ATVs, side-by-sides and snowmobiles already carried truly makes Maddie’s a year-round dealership. “The off-road ATV and side-by-side business is really strong in the spring and the fall, but early spring and summer always felt more like we were on a roller coaster,” Graham explained. Maddie’s Motor Sports sells mostly side-by-sides, ATVs and snowmobiles, but it looks to increase its motorcycle sales with Victory, Indian and KTM. “With all the brands, we can really offer a nice product group of sport bikes, motocross, street, V-twin — we’ve got the whole lineup. 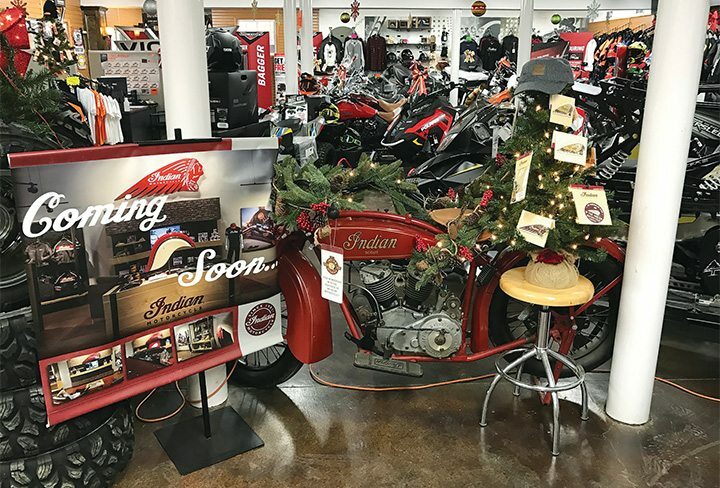 And for our area, there really wasn’t a lot for the customers to pick from other than Harley, so we’ve really been able to tap into the metric customer and the Harley customer that’s looking for alternatives,” he added. To better accommodate the new lines, Maddie’s is undergoing an expansion. The dealership is adding about 8,000 square feet onto its dealership, 90 percent of which will be used as showroom space. After a long permitting and planning phase, Graham is glad construction of the expansion has now begun. The new showroom space is expected to be ready in late March or early April. Other plans for 2017 include increasing the dealership’s pre-owned business and growing the number of technicians on staff from three to up to five during the peak season, as service business has grown recently. While those improvements will make the dealership bigger, they’re aimed at better serving customers.